We can all agree 100% that Rihanna is the ultimate fempreneur. I will just say it, we should all strive to be as savage as she is when it comes to getting her money, growing her empire and diversifying her business interests. After all, women business owners are the fastest growing segment in the nation and have been for the past two decades. However, women owned business only account for 5% of annual payrolls according to the 2014 U.S. Census Bureau Survey on Entrepreneurs. Interestingly enough, of the businesses owned by women, 90% are “solopreneurs” with no employees. Enter Rihanna Fenty, the 31-year-old songster, turn business maven, with a net worth of $260 million and growing according to Celebrity Net Worth. She reportedly earns $70 million annually & proves that it’s possible to have multiple streams of income when you pursue your passion and know your market. 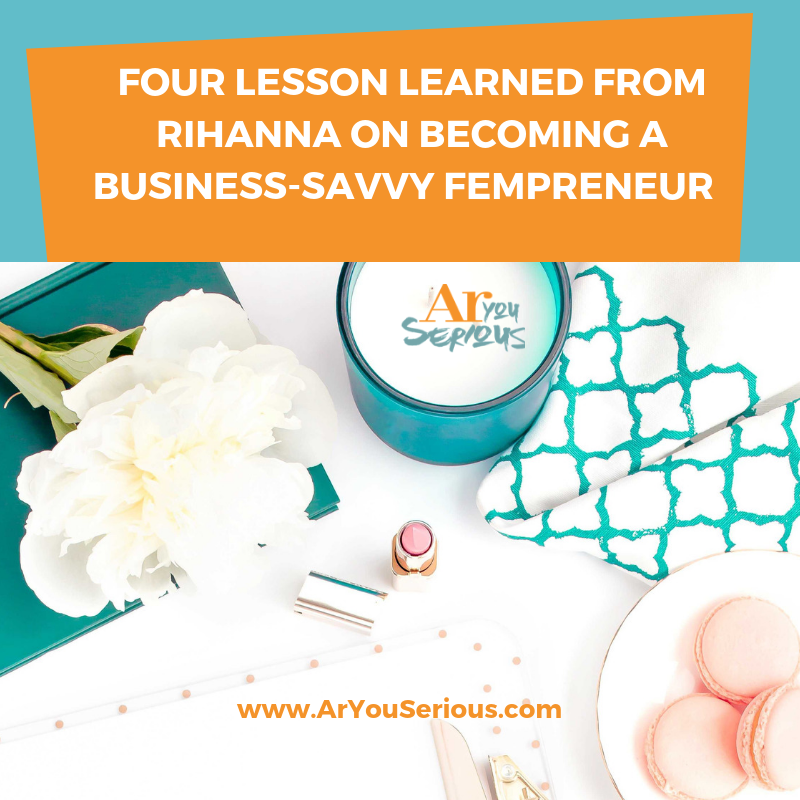 Here are four lessons we can all learn from Rihanna on how to become a savvy, woman entrepreneur, even when currently working a full-time job. Rihanna has a reported net worth of $260 million. Her high earning potential isn’t by happenstance. It is due to her strategic positioning in business opportunities where she can pursue her passions and bless the world through her talents (just like you). Rihanna has her fingerprint on the music industry (fun fact: she owns a portion of Tidal), fashion industry through her lingerie line and collaborations with brands like Puma, Balmain and River Island. I’m sure she can negotiate a contract and is earning at her highest potential. She has a strong foothold in the cosmetics industry and of course philanthropy, through her Clara Lionel Foundation. The Clara Lionel Foundation is named for her grandparents. Within the first year of its launch, her diamond ball charity fundraiser, raised over $2 million and $3 million the next year. Learn from others and then launch your own. 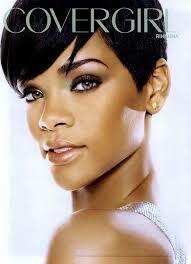 In early 2007, Rihanna announced to the world that she was now an easy, breezy, beautiful, Cover Girl. Just like that, we all ran to our local Target and grabbed everything with her face on it. Rihanna was a spokesperson for the brand for about three years and rumor has it she was let go after her domestic violence issues with former boyfriend. She then had a glow up and became a brand ambassador for MAC launching her signature line RiRi Hearts MAC Collection Fall 2013. Still, to this day, RiRi Woo is one of my all-time favorite red lipstick. Learning from her previous ventures and experiences with the cosmetic industry, like a true student of the world, she then launched her own cosmetic line, Fenty Beauty under a partnership worth $10 million. 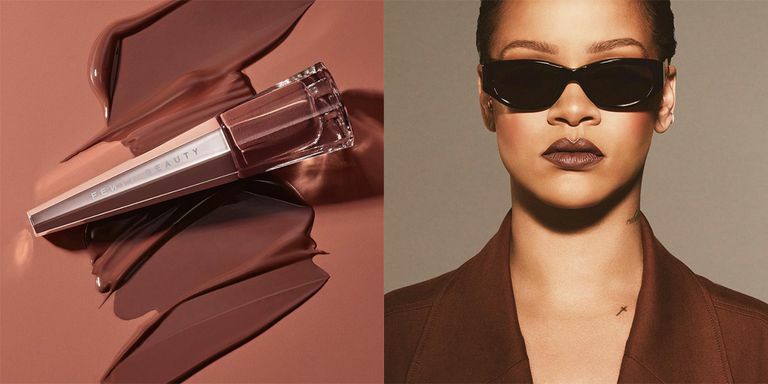 Within 40 days of its launch, Fenty Beauty generated over $100 million in sales. 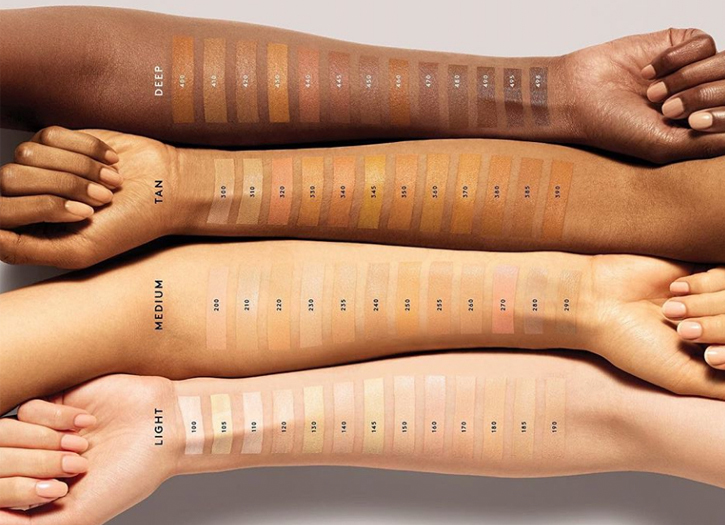 Most notably, Cover Girl, who at the time only had its standard run of the mill shades of foundation that were not rich in darker hues, now has 40 and is trying to be more inclusive like Fenty Beauty. Become a Jackie of all trades. Rihanna is the quintessential Jackie of all trades. Really, is there nothing she can’t do? Many of us were first introduced to Rhianna as we attempted to Pon de Replay during spring break of 2005. We fell in love with her when she dropped Umbrella ah ah ah ah. Then many of us tried to become her, when she became a Good Girl Gone Bad. Within the first decade of her career, she earned many accolades in her primary area of focus (music) including selling platinum albums, top spots on the Billboard Charts, #1 selling singles, and Grammy nominations. After much success in the music arena, she shifted her talents and starred in films like Home and Ocean’s 8. She became brand ambassadors for companies like Nivea, Kodak, Samsung, Gucci, Dior, Louis Vuitton, MAC (Makeup Art Cosmetics) and then she launched her very own cosmetic company, Fenty Beauty. I’m sure all women of color can appreciate the 2017 launch of Rihanna’s Fenty Beauty line. Within a few weeks of being on the market, it generated over $100 million in sales. I personally, made out like a bandit with highlighters, primers, lip stains, and matte powder (its an essential in my work bag). You name it, I own it. The cult brand launched inclusive products like cruelty-free foundation in 40 shades and then added another 10 hues. Majority of Fenty Beauty’s customer base are African American, Latinx and Asian women; for obvious reasons. It's available in 150 countries including Malaysia and Bahrain. The product is so good, that Time Magazine named Fenty Beauty as one of 2018’s “Most Genius Companies.” She really did it for the culture! So much so, that she pretty much forced other cosmetic companies to expand their offerings to women of color in order to stay relevant. BAM! For more Rihanna inspiration check out my Rhianna Pinterest Board! When are you launching your business idea? Stuck on an idea? Afraid? Nervous about next steps? Book a complimentary coaching session to discover your next phase. In 2008, when I thought I was Rihanna.